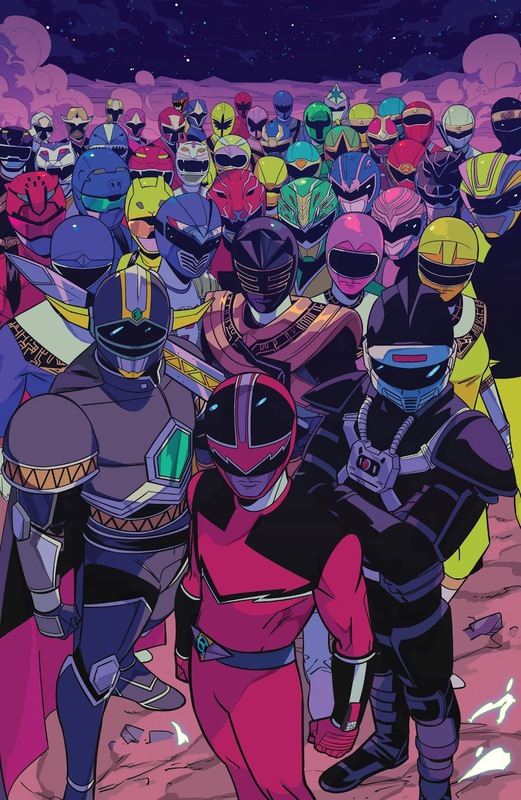 I’m a huge fan of all the Mighty Morphin Power Rangers variant covers you’re going to see here. That’s why it’s somewhat embarrassing to say I just recently discovered they’re all by the same guy: Jordan Gibson. 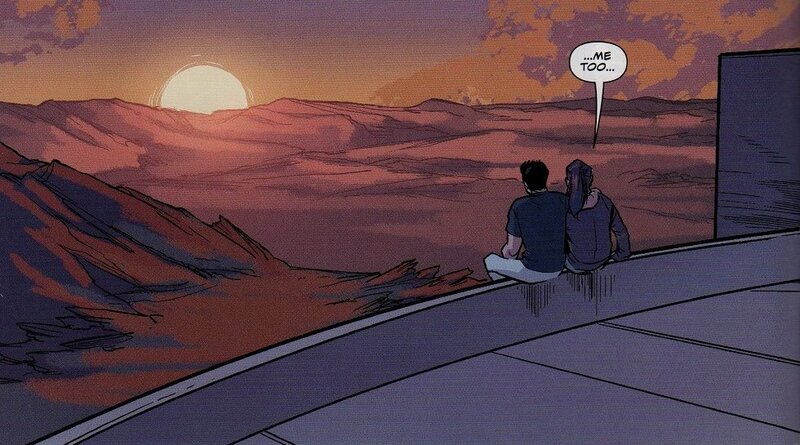 Issue #28: Jason remembers. This is the first Gibson cover I can remember seeing. It’s downright touching, actually. 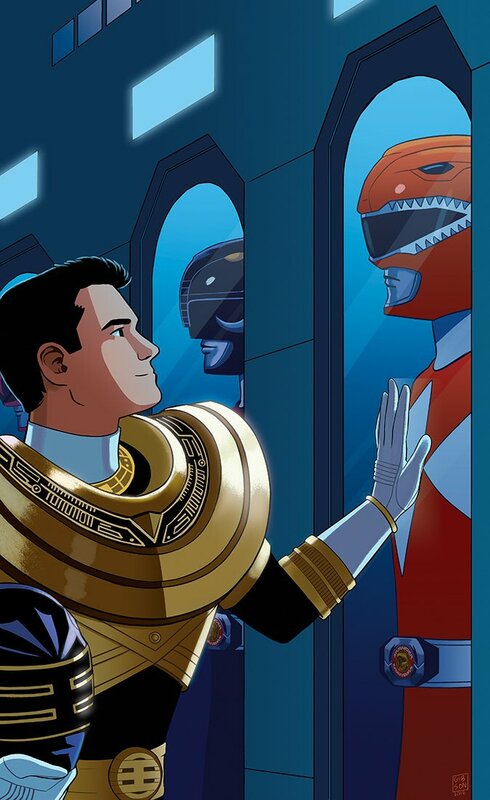 A Zeo era Jason gazing fondly at his old Red Ranger costume in the Power Chamber. It’s very easy to read a nostalgic fondness on his face. 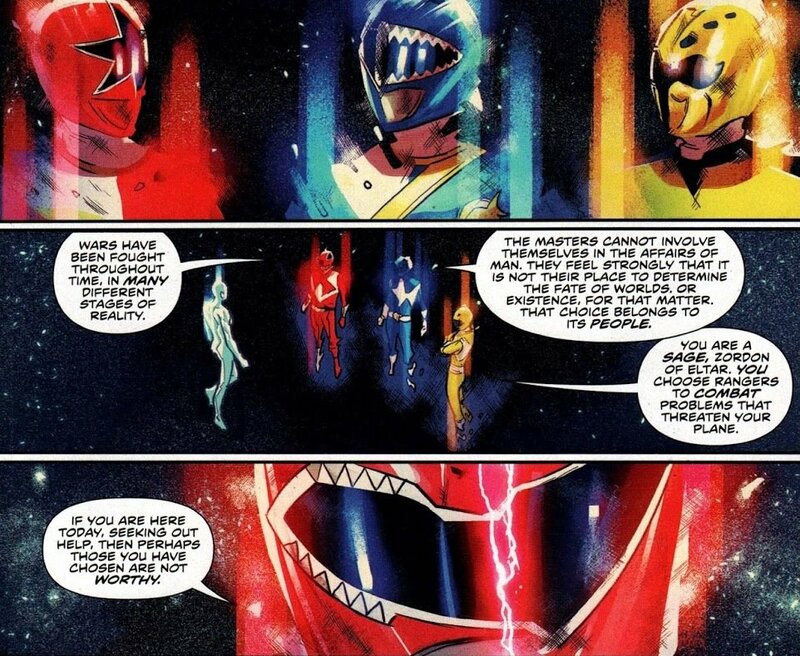 Ironically, the same feeling those old MMPR episodes evoke from so many of us. For some reason, the placement of his hand on the glass goes a long way in that regard as well. It’s funny how much a simple hand placement can do. Issue #31: “Forever Red.” I’m convinced this is a nod to another famous comic book cover. I just can’t figure out which one. At the very least, it captures that epic vibe that a lot of covers go for. Certainly as fitting a tribute to “Forever Red” as there’s ever been. My only complaint? 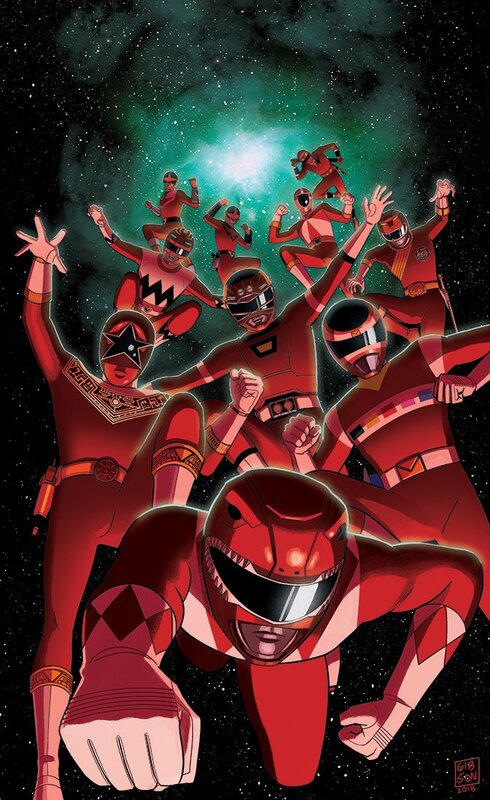 I would have put the Red Wild Force Ranger in the center, as opposed to Red Turbo. It was a Wild Force episode, after all. 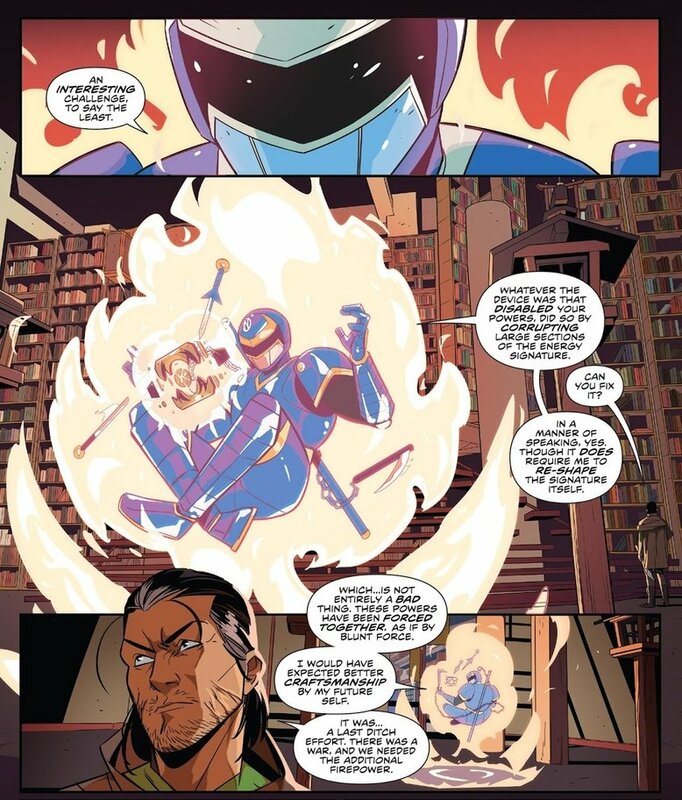 Issue #33: Dr. Tommy Oliver. 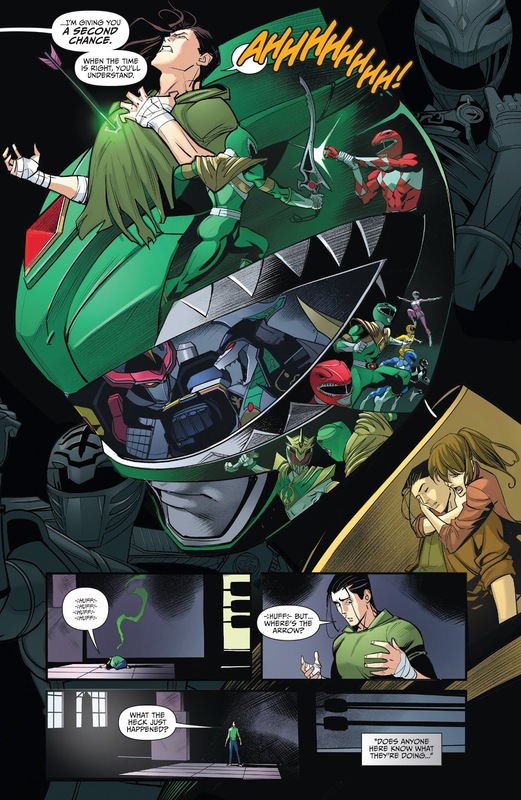 Conspicuous by his absence in this year’s big Shattered Grid event comic was the Tommy we saw in Power Rangers Dino Thunder. The Tommy that acted as a mentor to his own team of Rangers. 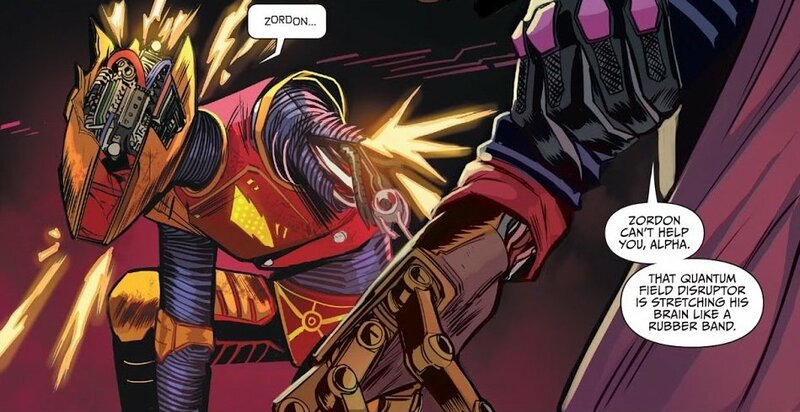 As the villain, Lord Drakkon, was an evil alt-universe version of Tommy, it would have made sense to see those two meet. The closest we got was this variant cover from Gibson. To his credit, this thing is friggin’ awesome. It catches Tommy in the final miliseconds of his morphing sequence. The orange background is really what makes it, capturing the same color scheme they used for most of the morphs that season. “Once a Ranger” doesn’t necessarily get a lot of love from longtime fans. I can see why. Operation Overdrive wasn’t exactly a critical success. But the two-parter still had its merits. At the very least, it was fun to see all the former Rangers back. Gibson tips his hat to said alumni with this variant cover to issue #34. 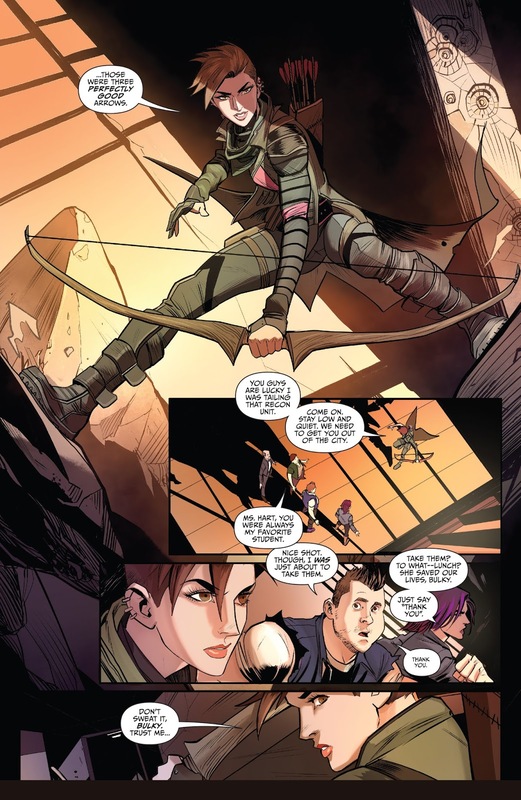 This entry was posted in Comic Books/Graphic Novels, Power Rangers Spotlight and tagged BOOM! 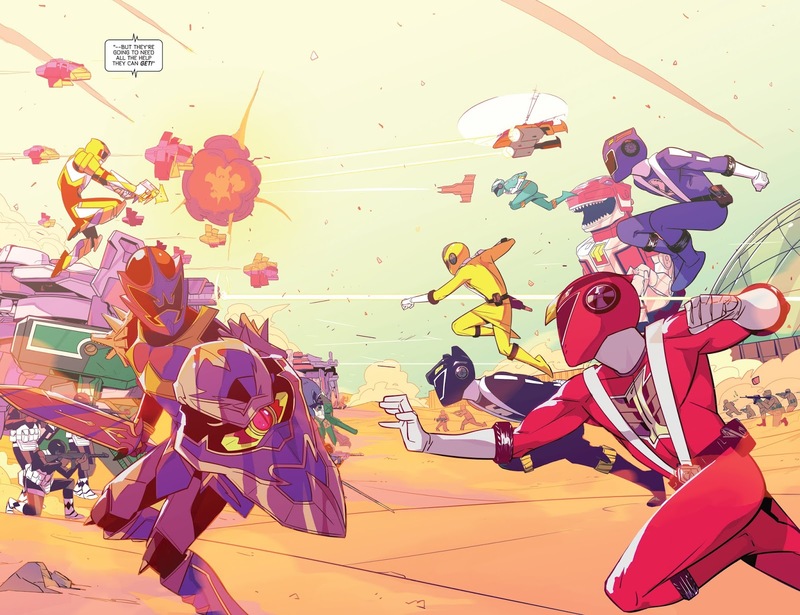 Studios, comic book covers, Forever Red, Gold Ranger, Jason Lee Scott, Jordan Gibson, Mighty Morphin Power Rangers, Mighty Morphin Power Rangers #28 (2018), Mighty Morphin Power Rangers #31 (2018), Mighty Morphin Power Rangers #33 (2018), Mighty Morphin Power Rangers #34 (2018), Mighty Morphin Power Rangers (BOOM! 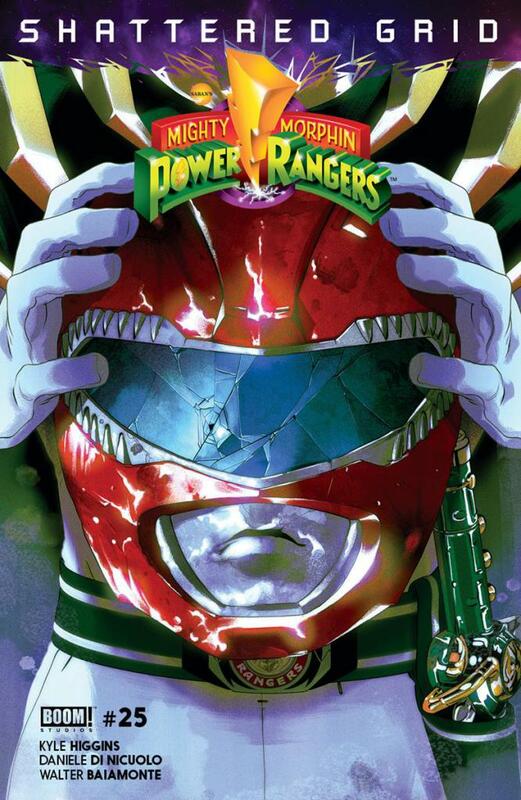 Studios), Mighty Morphin Power Rangers: Shattered Grid, Once A Ranger, Power Rangers, Power Rangers Dino Thunder, Power Rangers Operation Overdrive, Power Rangers Zeo, Red Ranger, Rob Siebert, Shattered Grid, Tommy Oliver on 11/08/2018 by primaryignition. Time Force was a series highlight for many a PR fan. It upped the drama and personal stakes, and the characters were a little more sophisticated. 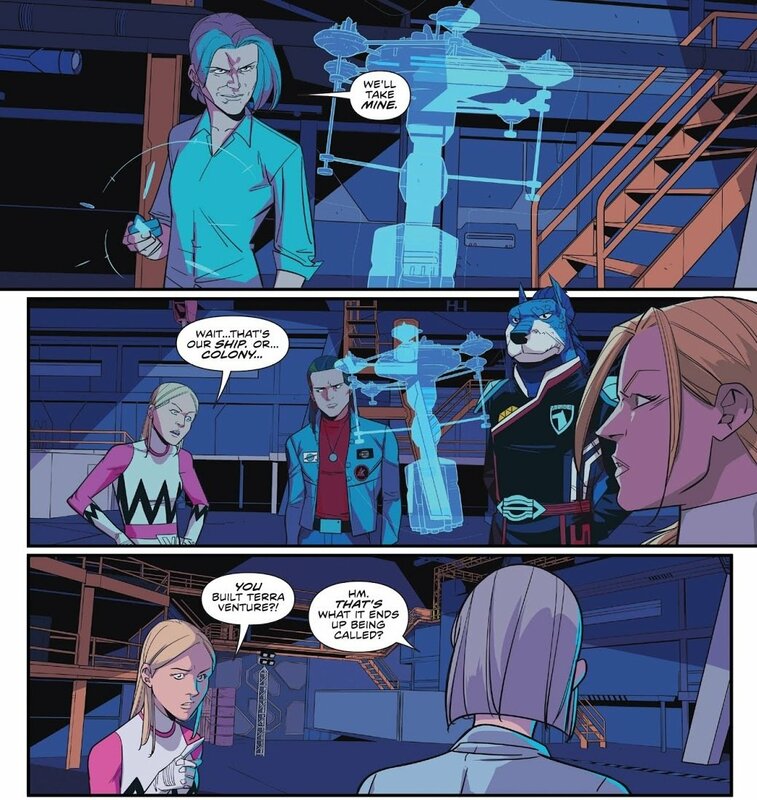 So it was hugely gratifying to not only see the Time Force Rangers front and center on the very first page of Shattered Grid, but for Jen to have such a pivotal role. To this day, she’s one of the franchise’s strongest female heroes. After Mighty Morphin Power Rangers became Power Rangers Zeo, Ninjor disappeared, never to be seen again. 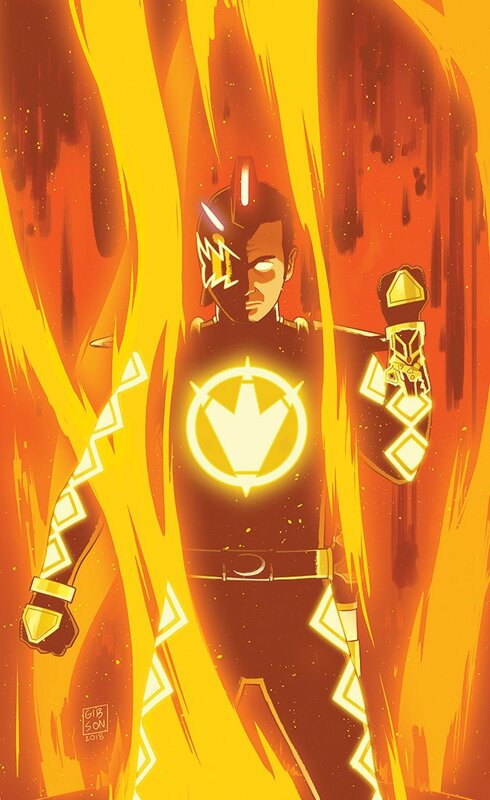 So there’s a feel-good quality to him being around for Shattered Grid. Especially given he’s decent-sized role. But what puts this moment on the list is the fact that we actually get to see inside Ninjor’s temple, and watch him work his magic. Not that it’s particularly extravagant. But I can appreciate wall-to-wall bookshelves for a legendary wizard figure like this. Literally. Remember, this is supposedly the guy that created the Power Coins. Seeing Jen in the Command Center was a geek-out moment for me. She’s talking about Time Force, all the Rangers that come after the Mighty Morphin team, and the crisis they’re facing. 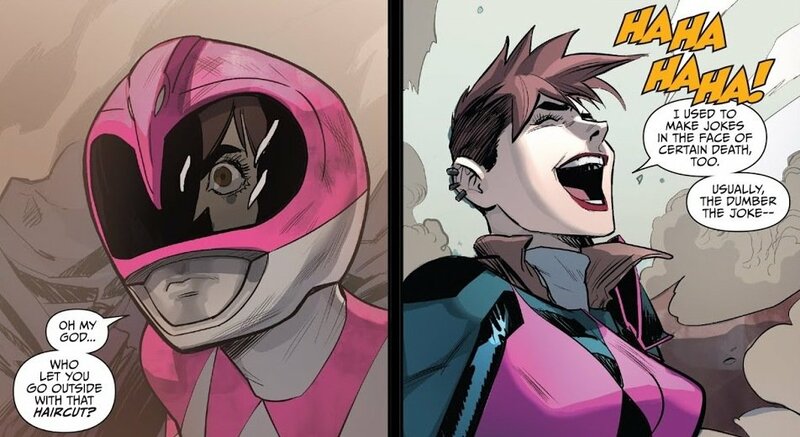 It’s a great Power Rangers legacy moment. From a story standpoint, this scene is here so author Kyle Higgins can explain how the event works. 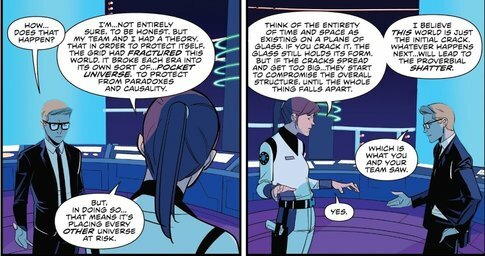 How the Morphing Grid has split the timeline into different dimensions to “protect from paradoxes and˚ causality.” Admittedly, it’s a convincing sell job. 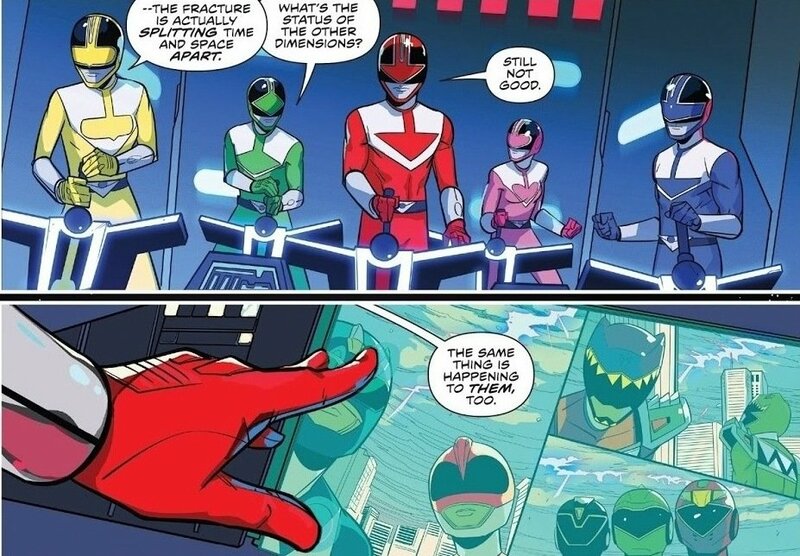 But what he’s really telling us is that Shattered Grid is structured like a multiverse story. 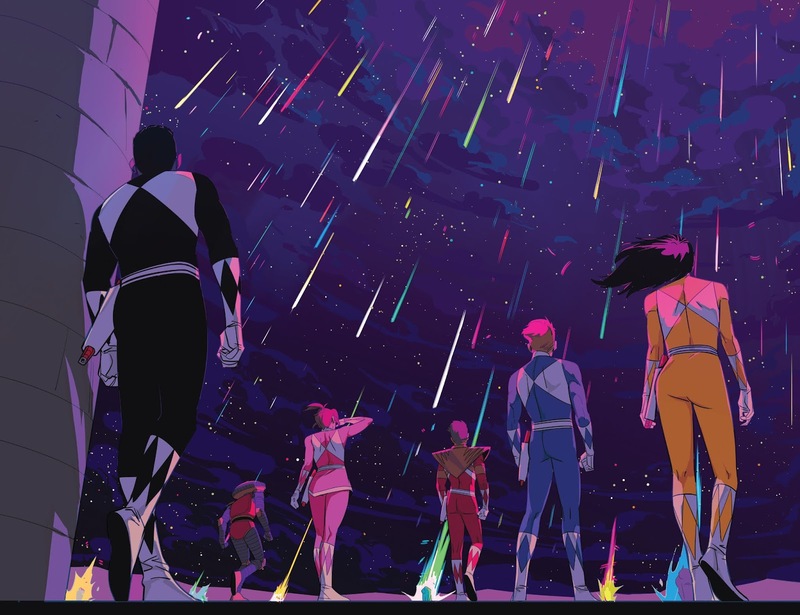 Think Crisis on Infinite Earths for Power Rangers. Again, this is subjective, but I’m a big continuity geek. As far as PR is concerned, I’ve always loved the idea of it being one continuous story with one team leading into the next, albeit indirectly. 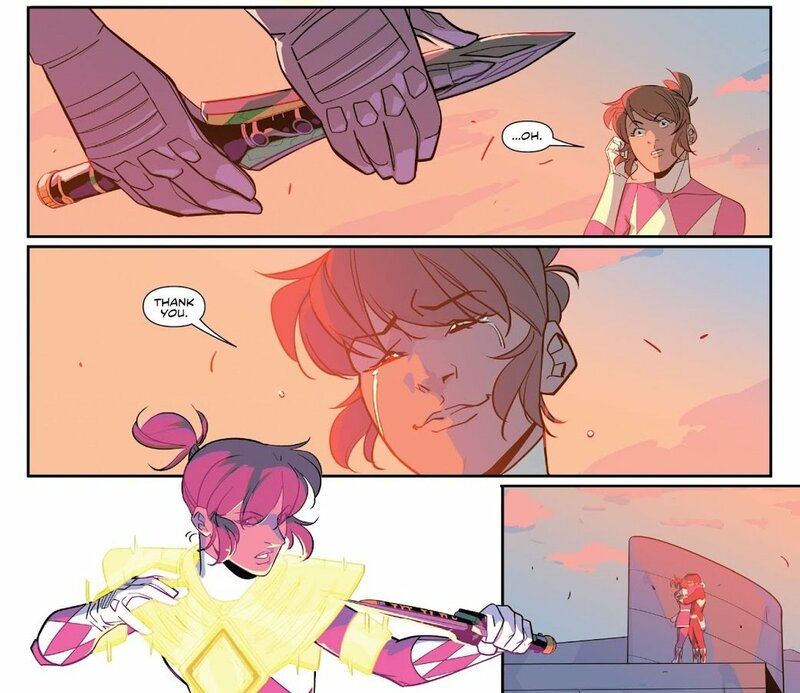 Shattered Grid almost skims over that element. Still, I don’t hold this idea against Higgins. 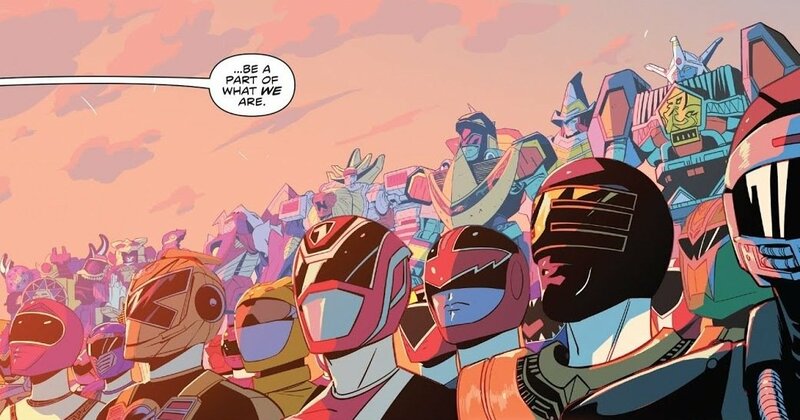 It’s the simplest way to execute the story, and it allows them to shove in as many Rangers as possible. In the end, that’s what matters. As the story progresses, Lord Drakkon gains strength by stealing a morpher from each Ranger team and siphoning the power. This was the first time we actually saw him do it, and his little upgrade came with a costume change. 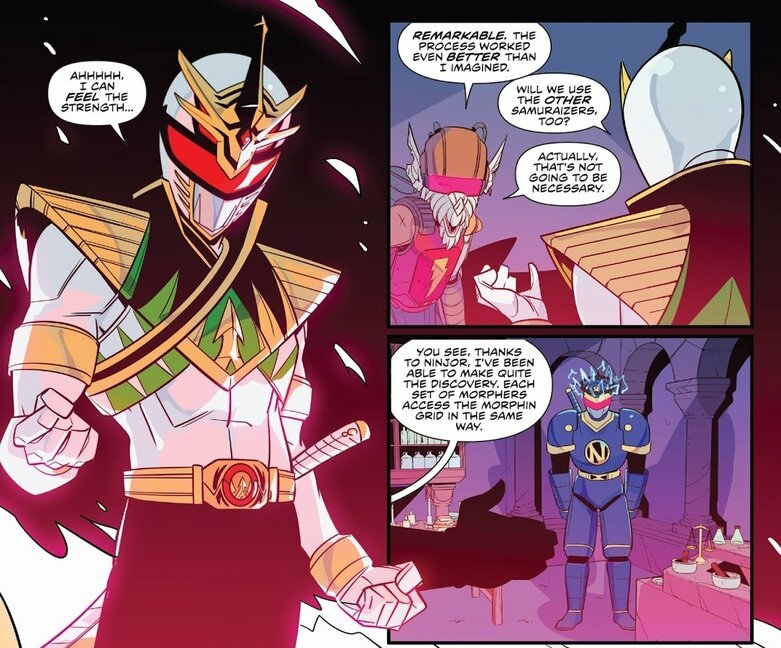 While Drakkon’s costume would get a few little additions in subsequent issues, this has been his look for the majority of Shattered Grid. I like it. It makes him look more distinct, and less like the White Ranger. 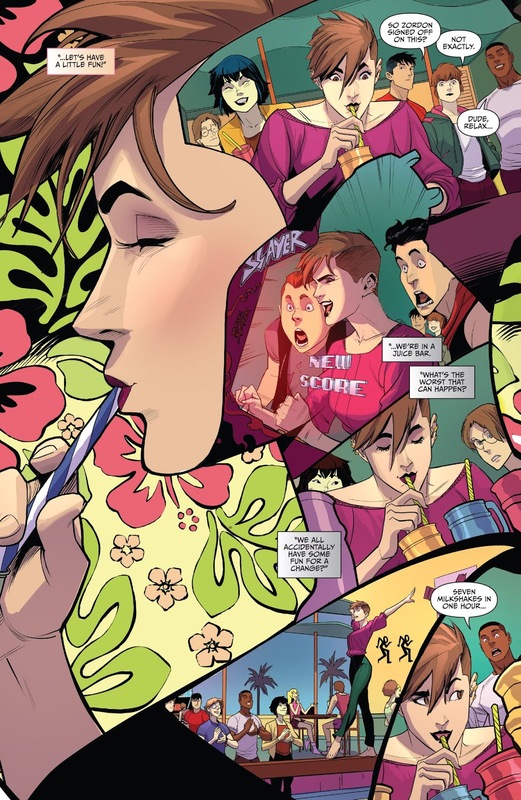 Note the appearance of Finster 5 in the above image. Certainly not my favorite creation of the BOOM! comics. But it’s cute. You’ve got a beautifully constructed montage here, with Drakkon’s forces attacking EIGHT Ranger teams at their respective home bases. 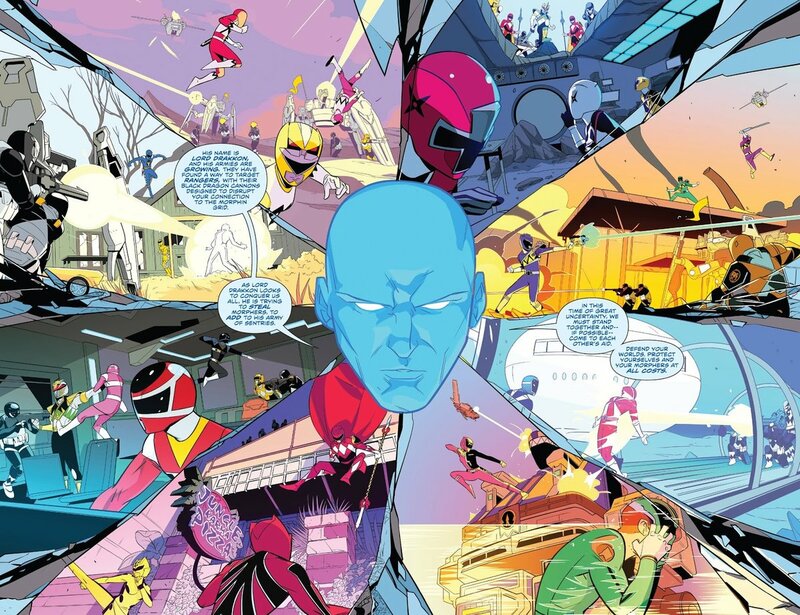 Again, an amazing legacy moment, if for no other reason than it’s Zordon at the center of it all. 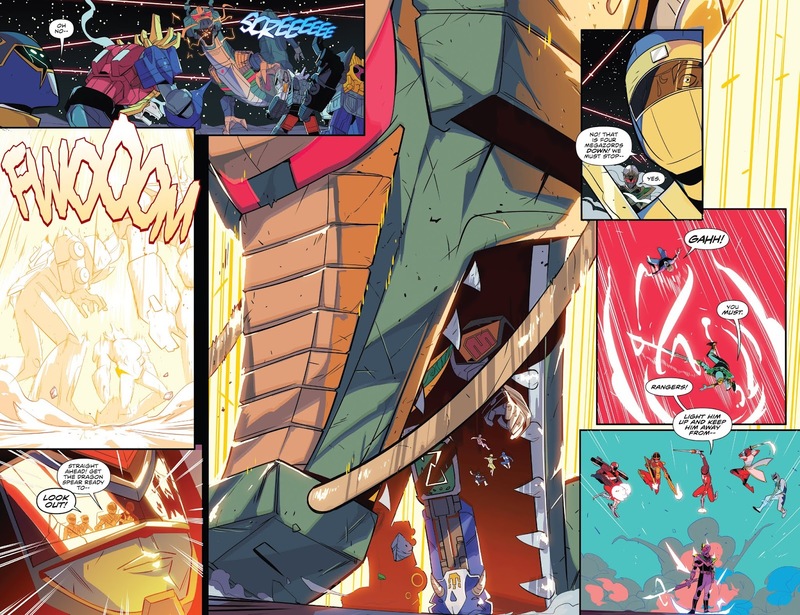 We’ve got the amazing Daniele di Nicuolo on the pencils for MMPR #25–30, and he keeps finding new ways to hit it out of the park. Note the Dino Thunder scene in the upper left hand corner. I’m a little surprised they haven’t paid closer attention to Dino Thunder, as an older Tommy was a part of that season. That’s a hell of a missed opportunity. This entry was posted in Comic Books/Graphic Novels and tagged Billy Cranston, BOOM! 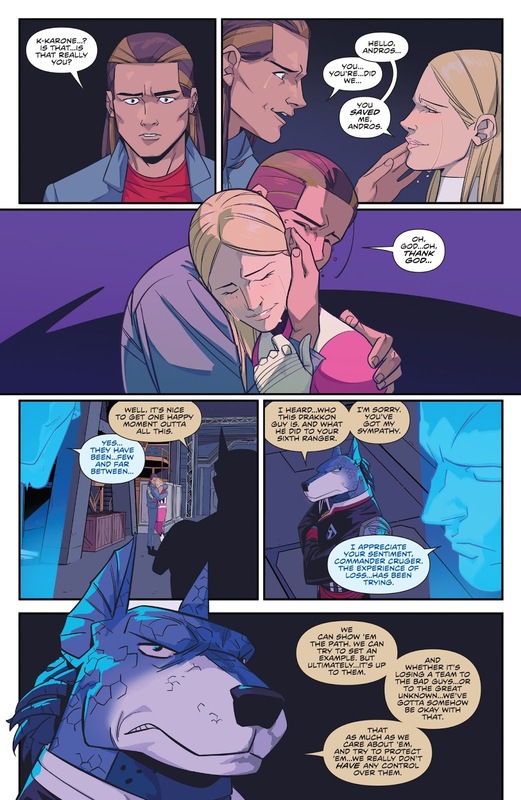 Studios, Daniele Di Nicuolo, Finster, Finster 5, Jen Scotts, Kyle Higgins, Lord Drakkon, Mighty Morphin Power Rangers, Mighty Morphin Power Rangers #25 (2018), Mighty Morphin Power Rangers (BOOM! 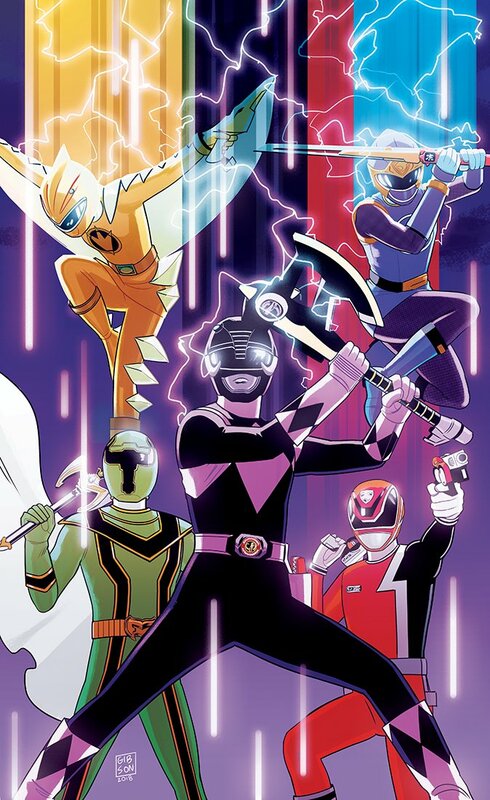 Studios), Mighty Morphin Power Rangers: Shattered Grid, Ninjor, Power Rangers, Power Rangers Dino Thunder, Power Rangers in Space, Power Rangers Ninja Steel, Power Rangers Time Force, Rob Siebert, Shattered Grid, Tommy Oliver, Wes Collins on 08/21/2018 by primaryignition.